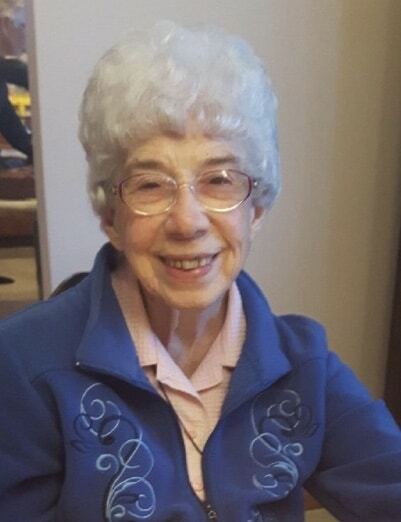 It is with great sadness that we announce the passing of June, at the Haldimand War Memorial Hospital at the age of 90. Predeceased by her loving husband William “Bill” Hall. Loving mother to Dennis (Alice), Dale (Lynda), and Beth Drehmer (Glenn). Proud and loving grandmother of Tami, Kevin, Andrea, Jennifer, Danielle, Darren, and Eric. Great grandmother to Maya, McKenzi, Jakob, Lexi, Jayden, Lucas, Levii, Aylah, Chase, Tucker, Cohen, and Tate. The family would like to send a special thank you to the doctors and nurses at the Haldimand War Memorial Hospital for their caring and kindness. Cremation has taken place and an immediate family only celebration will take place at a later date.